Are you planning an office move? Relocating an office can seem like a daunting task. This is especially true for all but the smallest office moves and even then the work involved is usually more than meets the eye at first glance. In essence the whole move is more like a military operation and needs to be planned in considerable detail. One person will not be able to handle most moves alone. It takes teamwork and the use of external experts to accomplish a smooth and efficient move. From our experience some of the most important aspects of any office move can be summarised as below. 1. Planning an office move : Where do I start? Once the decision to relocate office has been made the first task is to appoint a suitable person to plan, lead and be responsible for the implementation of the relocation. All too often we see this task delegated to a very junior member of staff who lacks the knowledge, confidence and authority to undertake the task. Make sure such a person has the requisite knowledge and authority within the business. 2. Ok we have appointed someone. What now? A good place to start is with an office move checklist. There are checklists available on the internet and they are a good starting point. They will begin to make you ‘think’ about the logistics and tasks that must be addressed. Do appreciate they are generic in nature and you will have to tailor them to your own specific circumstances. There is no one holy grail for checklists. 3. Ok got an office move check list. What next? As with all projects of this nature there will be timescales to be adhered to and a timeline for all the major tasks to be undertaken – when must we vacate these premises? When can we occupy the new premises? When can BT (or other telephony supplier) have our new lines up and running? Many tasks can be run concurrently but others must be performed in a sequential manner. A tool such as a Gantt chart can help immensely with this. One can see the sequences and dependencies of each part of the relocation project. A visual representation of the tasks involved is usually better than a purely narrative representation for most people. In this age of technology there are all sorts of Gantt charts, and similar, available on the web to use. 4. Ok got a project leader, checklist and a Gantt chart. Now what? The time is now nigh where the project can commence. As with all projects they never quite go according to plan. Circumstances frequently change – BT have delayed their availability, key staff members have gone ill, Prince Harry & Megan have cancelled the wedding and everyone is in meltdown and so on. Hopefully if the points above have been covered in a methodical manner you will have identified the crucial areas where delays etc. could happen and will have put in place contingency plans. A clear methodical approach will give you the confidence that you can handle it all no matter what the circumstances. Aside from the above top level points we often get asked questions regarding the actual physical move. Many of these questions may seem simple or trivial but are important to ensure a smooth moving experience. How do you move the photocopier? 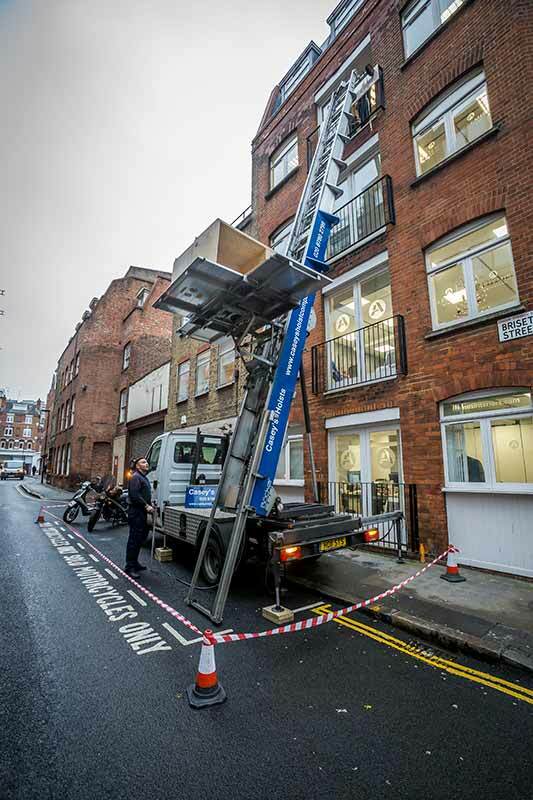 A photocopier is usually heavy and always expensive! Most copiers are on lease with maintenance agreements attached. Some maintenance companies insist they move them or else your warranty is invalid but most are happy for removal companies to move them. ALWAYS remove the ink cartridges before moving. Do we have to pack everything up before moving? No is the short answer. A good relocation company will offer both partial and packing services. This service will include the provision of both standard and IT moving crates plus all packing materials. Can we move office at the weekend? From an operational point of view most companies try to minimise down time. The more down time you have the greater the chances of losing customers or potential new business. 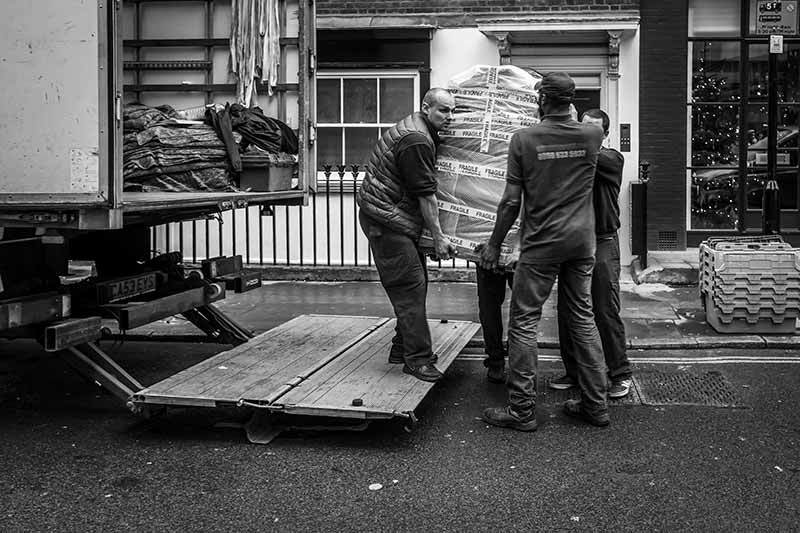 We frequently move offices both on a Saturday & Sunday so as to minimise down time. The aim is to have you up and running and open for business as normal on a Monday morning. We can deal with required dispensations & suspensions on your behalf. We do not charge an administration fee for this. We only charge you what the councils charge us. There are all sorts of restrictions (red routes, single and double yellow lines, resident bays etc) to deal with so it is more efficient to let us deal with it on your behalf. The access at my new property is really poor. How can we get around this? We often find, especially in older buildings, that stairs are narrow or there are very small lifts. This means that sometimes we have to use smaller vans or ‘ferry’ items to bridge the gap. Some of the items to be moved are very large and won’t fit in the lift or go up the stairs. Can these be moved? Very rarely are we unable to move an item due to weight/poor internal access/size. Frequently we use our furniture hoist to raise such items though this sometimes requires a window to be removed. If you are planning or organising an office move or relocation, then contact Casey’s Office Relocations today on 0800 633 5932 for a FREE quote.